Leafly, the popular online marijuana strain and dispensary guide for consumers, removed Chris Jeffery as CEO less than a year after he was hired by the Seattle company. Privateer Holdings, the Seattle-based private equity firm that acquired Leafly in 2011, confirmed to Marijuana Business Daily that Jeffery was out. The company has begun a new search for a replacement. Hutson declined to go into detail about the circumstances regarding Jeffery’s departure. Leafly currently has more than 150 employees in five countries and seven states, according to the statement from Hutson. In late 2017, Leafly laid off 15 employees and hired Jeffrey, a tech entrepreneur, to lead the company as its new CEO. 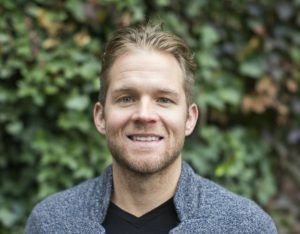 Jeffery founded OrderUp, an internet-based food ordering business that Groupon bought for $69 million, according to Geekwire. Cy Scott, Scott Vickers and Brian Wansolich founded Leafly in 2010 before starting data-analytics software firm Headset in 2015.